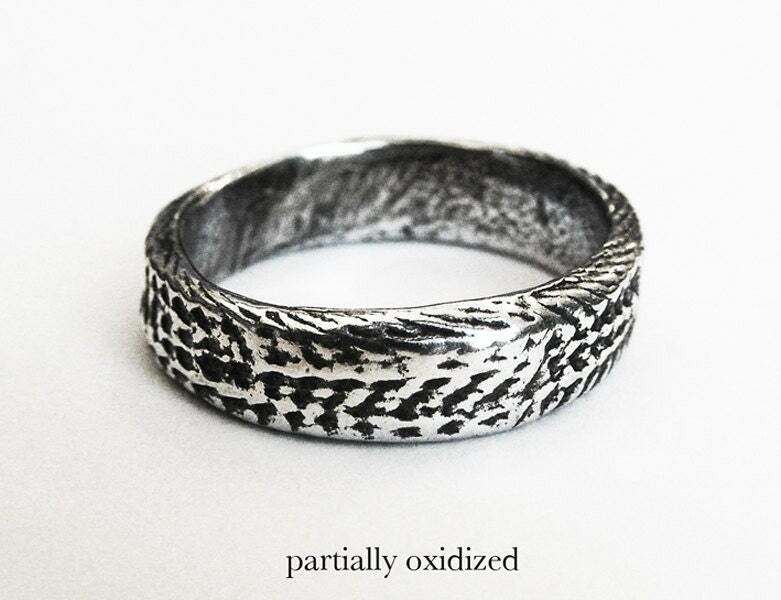 I made this ring 8 years ago from a cuttlefish cast that came out looking like snakeskin. My husband Norman claimed it as soon as he saw it and has worn it as a pinky ring ever since. I borrowed it back long enough to make a mold because I wanted one to wear on my ring finger and because I haven't been able to get another "snakeskin" cast quite like it. 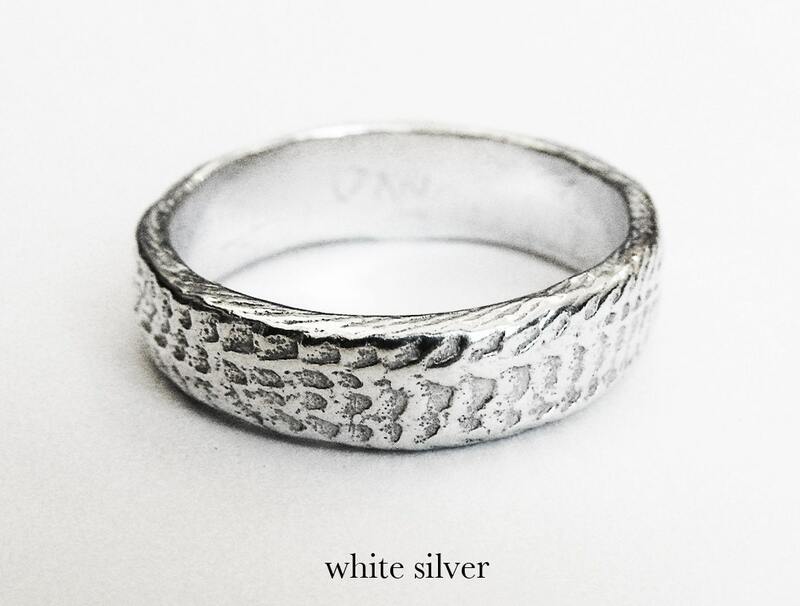 This is a very comfortable ring great for everyday wear. Each ring is cast in recycled Sterling Silver and carefully finished by my hand. If you would like this ring cast in a different metal please contact me. 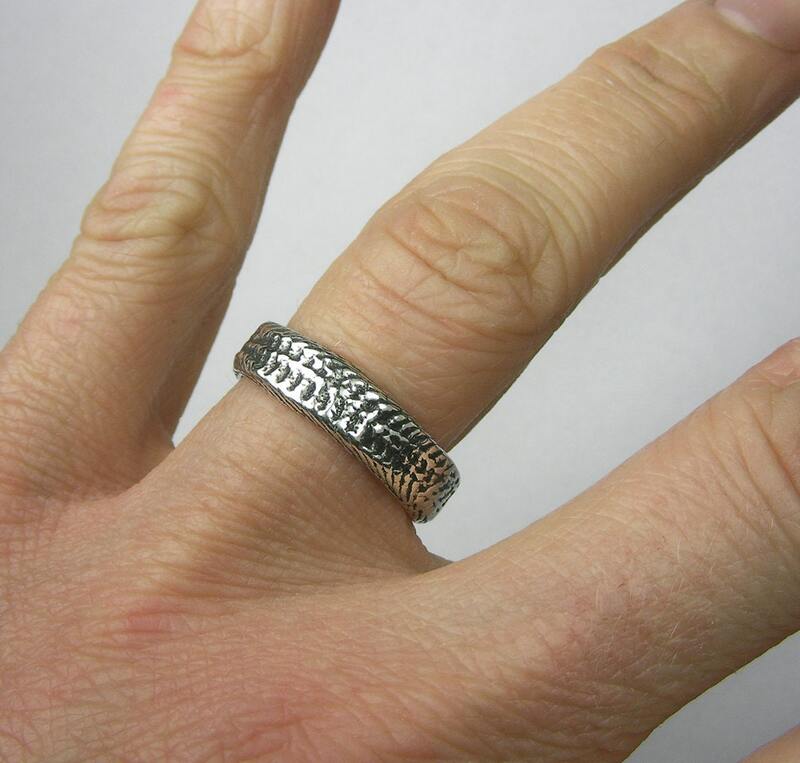 This listing is for 1 cuttlefish cast silver "snakeskin" ring only. 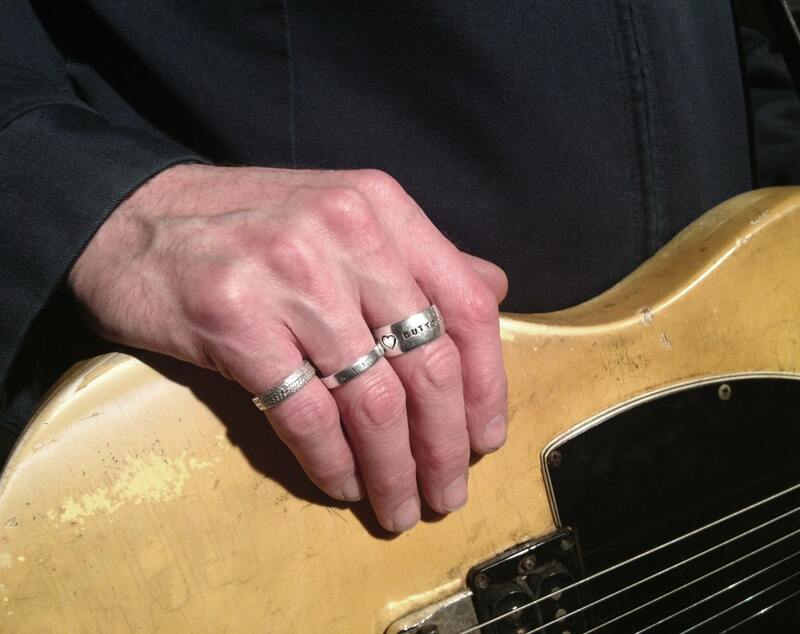 Much thanks to Phil Puleo for the great shot of Norman' s hand. 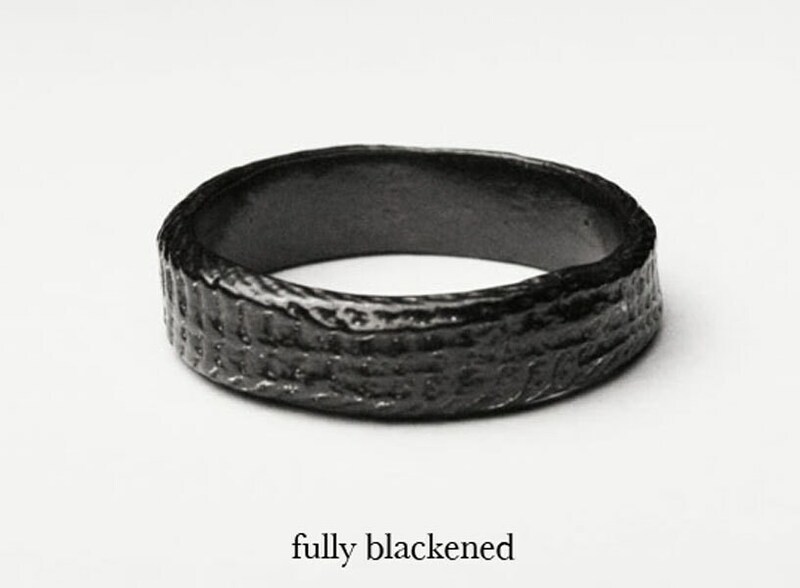 This is a great ring! Very nice. Jennifer was a pleasure to deal with. Communication was exceptional. Shipping was fast and I look forward to having her do some custom pieces for me.